Welcome to the Eyes on Final Fantasy Forums. For chat of a general nature and all that comes with it. Newbies, feel free to introduce yourself in this forum! Talk about the ups and downs of your life, get support and advice when you need it, learn about your fellow members in a peaceful environment. In this forum, it's all about helping out your friends when they're down and celebrating when they get back up again. Learn about opinion and perspective on the internet. Discuss current events, cultural differences and global issues in this forum. Keep it civil! Music, TV, movies, sports, comics, books... it all belongs in here. Visual art - be it a sketch, a painting, graphic design, website design, video, photography, crafts or flash media, so long as it's visual art, it goes here! You should also check out our deviantART page! The written word - poetry, stories, essays, songs and rap battles all go in here. Note: Unpublished works are found within. An account is required to view these threads. Please be constructive with feedback. Talk about any games that don't fit in the other forums or gaming culture in general. Because watching and/or reading about other people playing games is actually kind of awesome. Do you like RPGs other than Final Fantasy and other SE favorites? Well now you have a place to post about them. All non-Square-Enix RPG discussion goes here! Discuss any other Square-Enix games which don't already have a forum, such as the Kingdom Hearts series, the Chrono and Mana series, Bravely Default, Nier, Vagrant Story, Super Mario RPG, and Xenogears. Discuss the Final Fantasy media franchise including video games, movies, and other merchandise. Titles in the series without their own subforum such as the Final Fantasy Tactics series, World of Final Fantasy, Final Fantasy Type-0, the Theatrhythm series, mobile titles and others can be discussed here too. Discuss all things Final Fantasy XV related, including the PS4 and Xbox One title itself, related media such as Kingsglaive and Brotherhood, and of course very important issues such as "That's it!" and "I've come up with a new recipe!" 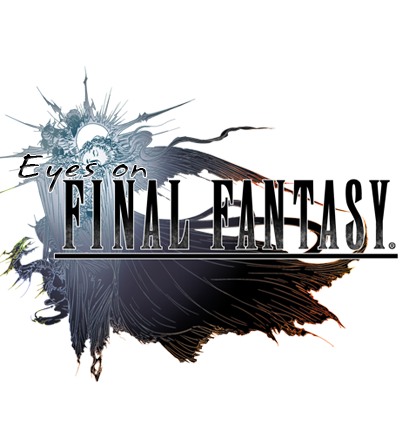 Join your friends in Eorzea in the newest entry and second MMORPG in the Final Fantasy series. Journey to distant lands in the Stormblood expansion! Discuss the games in the action-packed Final Fantasy XIII series released for both the Playstation 3 and Xbox 360. Discuss Final Fantasy XII, Final Fantasy XII: Revenant Wings, and their rich, colorful history as a part of the Ivalice Alliance. Also discuss the new HD remaster, Final Fantasy XII: The Zodiac Age. Discuss the first massively multiplayer online role-playing game in the Final Fantasy series and find your fellow players in the World of Vana'diel! This game is currently available for Playstation 2, Windows, and Xbox 360. The PlayStation 2 classic and its sequel encouraged players to stay away from the summoner and asked the very important question of "What can I do for you?" Join in the discussion about both the re-releases and the originals. Discuss the ninth installment of the Final Fantasy series which returns the series to its traditional roots (except for that whole "main character with a tail" thing). Discuss the eighth installment of the Final Fantasy series centered around the theme of love. And crazy conspiracy theories. Final Fantasy VIII-2 Newly Announced ! Final Fantasy VII HD Remake has now been announced at E3 2015 for PS4! Get the hype! You can of course still discuss the classics Final Fantasy VII, Crisis Core: Final Fantasy VII, and the other games and films of the Compilation of Final Fantasy VII. Discuss the sixth installment of the Final Fantasy series which ranks up there with the greatest video games of all time. Discuss the fifth installment of the Final Fantasy series. Bartz is a bloody pimp! Discuss the third installment of the Final Fantasy series and its renovated Nintendo DS incarnation. Discuss the second installment of the Final Fantasy series and the first to feature many traditions still seen today. FF origins, Should I get it? Noticed any bugs? Is something technical at EoFF broken and not working as it should be? Please let us know! Threads that we couldn't let just sink into oblivion! Most users ever online was 5,533, 12-29-2015 at 05:55 PM.